Remodeling projects usually trigger a sense of excitement in our home. The climate of our house becomes re-energized with the energy and newness of smell that comes from the improvements and changes. However, nothing can beat the excitement and energy of getting new replacement windows for our home. Window replacements bring a real sense of satisfaction to homeowners because they improve the decor of the home and are easy to clean. Also, most modern impact windows are more energy efficient when compared to traditional windows. However, to achieve all this, you must take some right decisions. The first step of this process is to know whom to contact to get those beautiful replacement windows for your house. One of the biggest decisions you have to take when getting window replacements for your home is to choose between bow window and bay window. Whether you are standing inside your house and looking outside or standing outside and looking in, the bay window is an excellent three-dimensional design that offers an additional view and lighting. Some of the extra options of these windows include a beautiful roof designed to give your home an entirely new look. These windows can be enhanced with a showplace for plants or display of decorations. You could also install bay windows that come with the seat board option. If you are not satisfied with the look and features of the bay window, you could always choose the bow window for your home. While bow windows are similar to bay windows, they have a more elegant look, sharper angles, and better curves when compared to the bay window. The gradual and smoother curves are a better fit for several styles of residential buildings. Many homeowners prefer installing bow windows because of the added space and lighting offered by this custom made windows. These highly energy efficient windows can easily be customized to suit the decor of your home. 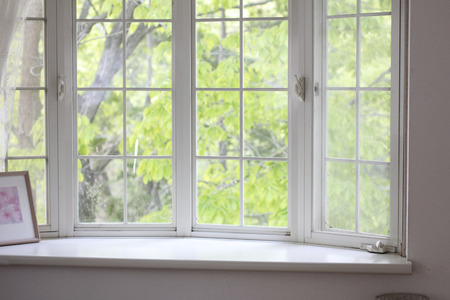 Since these windows are energy efficient, they help in reducing cooling and heating costs. If you decide to install these windows, you can enjoy the gradual and the soft bow look of these windows, while still have the option of beautiful handcrafted trim and wood seat board. The people you contact must have several years of experience in the field. They must understand your needs and must take all possible steps to ensure that you are completely satisfied with the process. They must guide you at every step and involve you in all decisions involving the installation of new windows. The contractor you hire must be available to give you details of the various windows available in the marketplace such as impact resistant windows or storm windows. This will help you decide what is best for your home. Your contractor must be able to offer multiple options for energy efficient windows, including the modern hurricane windows. They must be able to guide you through all necessary decisions. The contractor you select must be able to offer a wide variety of styles and colors, so you can select what is best for your homes. They must have a team of experts who have several years of experience in installing windows in both residential and commercial areas.